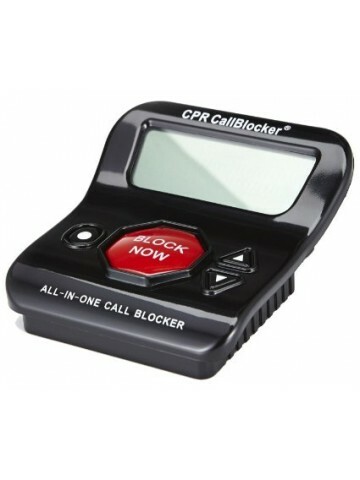 This Call Blocker features a 3 Inch caller display screen, large "Block Now" button, 1200 number capacity and has the ability to block unwanted callers from Cordless handsets by pressing #2. 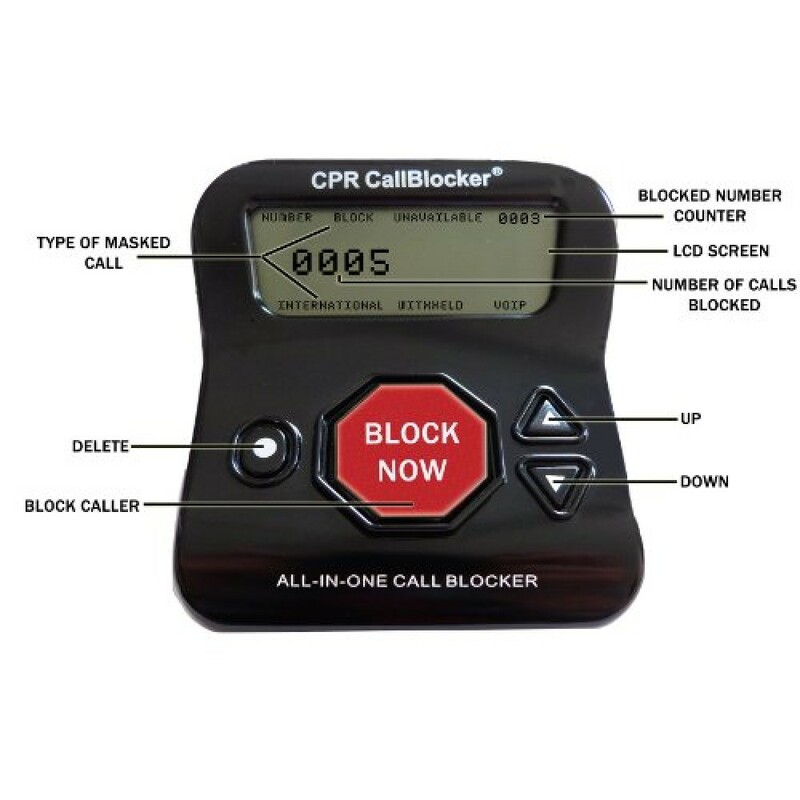 With CPR Call Blocker's easy to use control buttons you can view the callers number on its large 3 Inch display and view the blocked number list as well as see how many times that Blocked number has tried to recall. If required blocked numbers can be easily removed from the block list using the delete button (See Images above). 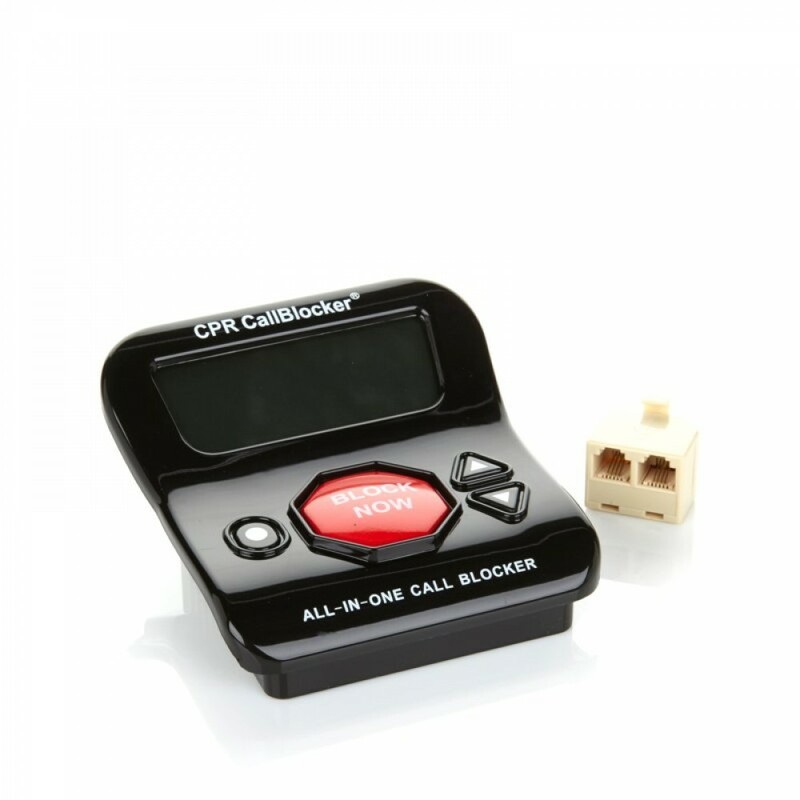 The CPR Call Blocker is pre-programmed with more than 200 numbers which are 'deemed' as known nuisance callers. Companies which are selling by phone, using overseas call centers and automated sales lists are all pre-programmed which will minimize the sales calls you receive almost immediately. The ‘Block Now’ button is located on the top of the unit. At the touch of a button the unwanted caller’s number is logged into the unit’s memory, the call will hang up and the number blocked permanently. 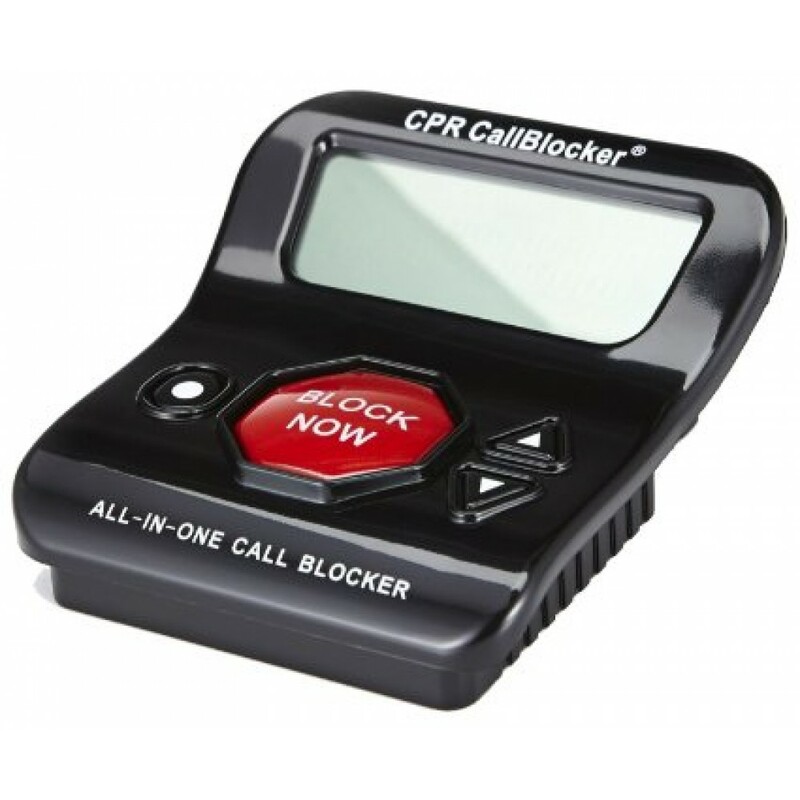 This feature allows you to block up to 1000 unwanted callers as they are calling you. Block a number by entering #2 on any DECT handset connected to the telephone base. 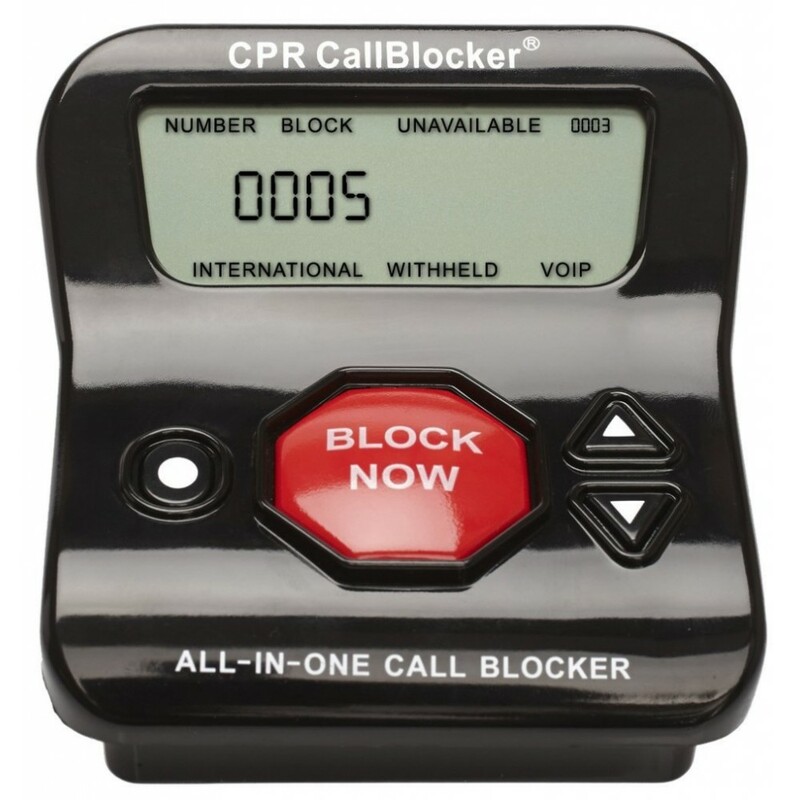 This will reject all calls shown as multiple 000s or variations of fake numbers.